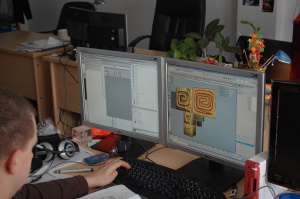 We've already told you what we thought based on our playtime with WiiWare rollerball adventure Furry Legends, but we still had plenty of questions, so we sat down with Game Designer Adam Kramarzewski, Producer Lukasz Szczepanski and Gamelion VP Sebastian Szczygiel to get some answers. Nintendo Life: Why the decision to use a furry ball instead of a usual two-legged character, as the intention is to honour classic side-scrolling games? 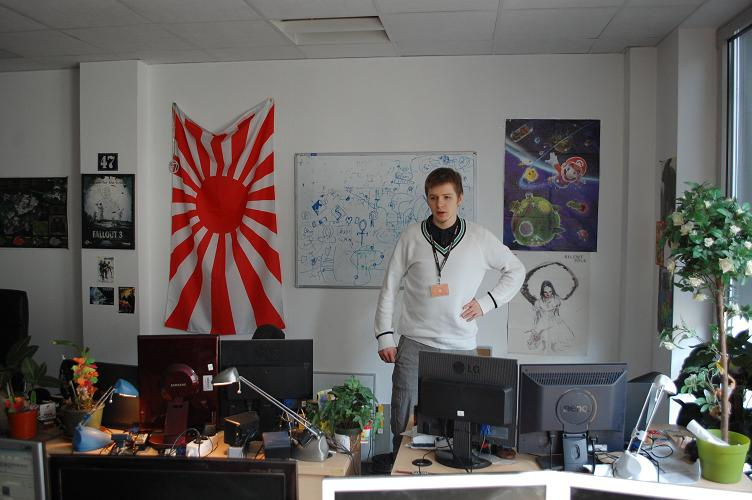 Lukasz Szczepanski: Basically we wanted to make a short entry into WiiWare to see what the platform was like, to probe the market, so we were looking for a way into gameplay. We had some concepts that some of our other studios had developed: we had a Flash version for Funky Ball Worlds, so we began to make a game based on this kind of mechanic as we had the physics and know-how, then our designers came along and made characters out of the balls. Sebastian Szczygiel: The plan originally was to do the 2D version. Lukas: Yes, but we thought that if to enter a new market we had to do something new and interesting to make people aware that we were here and we wanted to make great games. The shift to 3D was that way and something we weren't prepared for. NL: How do you approach designing the levels for Furry Legends? Adam Kramarzewski: All the stuff starts with taking all the elements that you have – all the features, all the ideas, and making the content lifespan – so that you try to spread all the interesting elements across the game's levels. Then you try to give yourself some kind of premise, as well as the story, such as "I'm going to introduce the player to the new elements with these mechanics for this particular level", and then you can start designing the overall geometry. 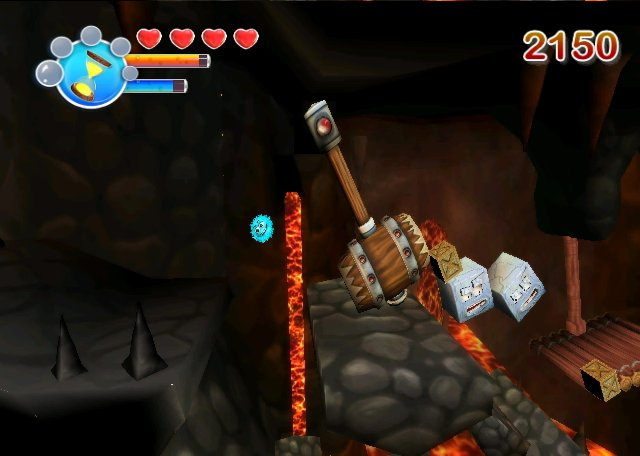 Then you have the rhythm of it – platform games often have a rhythm and pacing that's based on the challenges set for the players, and it's like putting a soothing challenge just after a really hard jumping section so that players don't get tired. NL: What was your main focus for making levels fun? Adam: There are two approaches – usually in platform games you find levels that are focused around something, and the whole level is focused around that particular element: let's say Super Mario Galaxy's cool bumblebee climbing bit. In Furry Legends we tried to mix the stuff around to keep the feeling of freshness to make sure that if you don't find something fun you're going to meet something different right around the corner that you will enjoy. I try not to repeat the same kind of puzzles, so with Furry Legends we didn't make a lot of puzzles based around the same kind of mechanics, and hopefully people won't get bored with it. NL: Did you look to any other titles for inspiration in the designs? Adam: LostWinds was an inspiration for the artists, but for me I took inspiration from Little Big Planet, that's for sure – but not too much !. I was also playing a lot of New Super Mario Bros. on DS and trying to look at the stuff that was the inspiration at the time. NL: Furry Legends is obviously a throwback to old-school 16-bit titles. Did you play a lot of those classic Super NES games growing up? Adam: Growing up I played Duck Tales on the NES quite a bit – I think my copy was bugged though, as I kept getting stuck on things! Then I played on Atari and there were some very groundbreaking games on there such as Pitfall, Boulderdash and then I moved onto PC so there were more 3D games going there. NL: The game is now split into two "episodes" – is this good news for you as a level designer or does it mean twice as much work? Adam: I think it's pretty good, because with each episode we're expanding the mount of features and diving deeper into the game itself, and I think the whole world starts to live and resonate. You get the feeling of what's right for the game and what's not, which is why having the game's front established helps a lot. It might be a constraint but for us it's more like a guidance, and also we can improve stuff over time based on feedback from reviews and users themselves. If we get to make the third part, which I hope we will, then we have some amazing new features and technologies lined up that will certainly make huge changes. Our programmers have shown us some of the new physics engine with fluids and gravity stuff and it's going to be really amazing. NL: What's your favourite part of the game you've created? Adam: I don't want to spoil anything for the readers but I think there's a Monty Python-inspired cutscene that's very unexpected for gamers. You wouldn't expect to see that in a game like ours, and I think getting the humorous elements right was the most challenging part, for sure. Lukasz: We wanted to make the text sound normal for the younger players, but with the humour their Dads would know what we really mean. 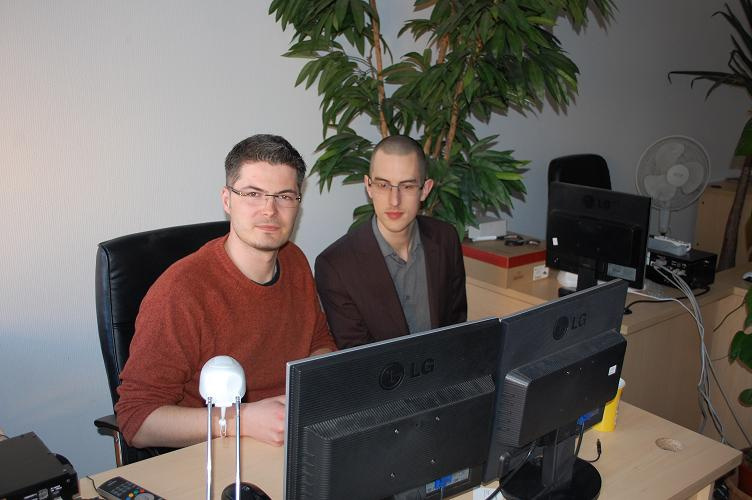 Lukasz: We were really thinking hard for a new title, with half the company working on it, and eventually we found it. We knew we wanted the name Furry in there and Sebastian came up with Furry Legends - other ideas were Fluffy Duffy, Fluffy Fluffy and others! Adam: We are in total 250 people and because we're also working in US and Finland, the only way we could use all 250 people to get us a title was to do an Internet poll system. Sadly our IT staff hacked it and added a script to vote for the most ridiculous title, and then a second group did the same to vote for the second most ridiculous title. By the end of the day we had thousands of votes for these two awful names! NL: We found out a few weeks ago the game is going episodic. At what stage in development did this decision come about? Lukasz: It was like a gradient – at the beginning we wanted to have like 16 levels, four different environments and that was our basic plan. But as we developed our technology we noticed that the filesizes were getting larger, we couldn't put in everything that we wanted and in the end we noticed that we couldn't really use as much as we wanted. I guess after about six or seven months of development we thought, "we have to make another part to make the game look complete" and so we didn't hamper our creative visions. We didn't want to put too much into one part or it'd be cramped and unfinished and we wanted it to be polished. NL: The announcement was met with mixed reactions. What would you say to the fans? 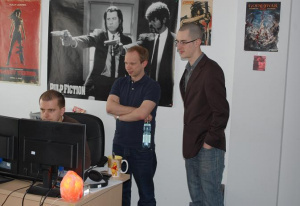 Lukasz: Episodic development is a natural development for me – now that we have this framework we can make more games, and with each one there will be new experiences and features. It may have the same characters and some references but you can play it without having played the original one, pretty much like Half Life. I think episodic might not be the right word for it. Sebastian: [The second game] is called Chapter Two. We could not change the name at a later date so we had to add it to the Wii Shop as Furry Legends so we didn't have to resubmit to ESRB, so the only mention of it is on the title screen. Lukasz: The second part, when it's released, will also be a standalone game with no knowledge of the first one required in order to understand or complete it. In Furry Legends: Beginnings you're fighting against Triangles, which are obviously less primitive than squares but again, you won't need to have played the other ones in order to complete or understand it. NL: With Chapter One in lotcheck now, what's the status of the second part? Lukasz: We're working on the technology behind it at the moment, creating concepts and some sketches of the levels as well as ideas so everything is pretty basic at the moment. Once we have the pipeline nailed down we'll be able to move much faster. 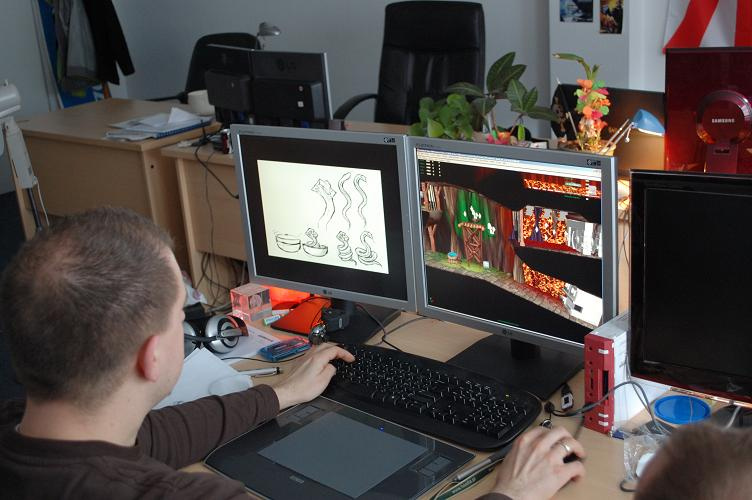 One of the problems with Furry Legends was developing the levels and technology simultaneously – creating the level and getting it to run took us nearly half a year. At the beginning it was horrible – the graphics artist would need to know the exact parameters of each object, and even a minor mistake could cause major crashes taking half a day to find and fix. But now we've upgraded the tools and have more expertise we can move forward and play the levels with a single click, which is something we weren't able to do a year ago. Nintendo Life: Thanks for your time, Adam, Sebastian and Lukasz! Nintendo Life would like to extend its sincere thanks to all the staff at Gamelion for the chance to play Furry Legends before launch and for all their hospitality. Looks nice! and episodic is cool with me! This game is looking promising and I also don't mind episodic games. What happened to those lovely locks of hair James? Wasn't there a interview with these guys back when the site was still called WiiWare World? 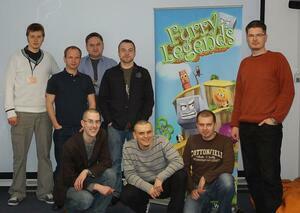 It's hard to believe that Furry Legends has been in development for that long. "[The second game] is called Chapter Two. We could not change the name at a later date so we had to add it to the Wii Shop as Furry Legends so we didn't have to resubmit to ESRB, so the only mention of it is on the title screen." I didn't quite understand this comment. So what is the second Furry Legends called? What name would they have given it if given the choice? Aren't they also making a prequel for DSiWare called Furry Legends: Beginings? or something? Or did they just scrap doing it for DSiWare and added it as one of the episodes? @Brandonbwii - I agree, it might seem confusing! Basically, the first game will be called simply "Furry Legends" on the Wii Shop Channel, but the title screen will read "Furry Legends: Chapter One". The second one will be called "Furry Legends: Chapter Two", both in the Shop Channel and the title screen, if I'm correct. Hope that clears things up! @birdman13 - They're still making the prequel. I got to play it on a mobile device (I think it was a Samsung!) but didn't get chance to play it on a DSi, hence why there's a WiiWare focus to our coverage. It's still on the way but it wouldn't be right to preview it based on mobile phone code! Prosdy - Ok, thanks for vlearing that up. That was really confusing me. I knew nothing about this game, but now I'm quite intrigued. Interesting read, thanks. I'd love to work in an office like that!